At a pre-season regional meeting two years ago, a presentation was given on the implementation of a parent council by one of the Mid-Atlantic volleyball clubs. My initial reaction was, "No Way." Why would I want parents to have direct involvement with decision making at the club level?" After all, over the past twenty years as a coach, twelve as director of Next Level Volleyball Club, my communication with parents tended to be when situations were out of hand between a player/parent/coach and I was called upon to step in to mediate and resolve. I saved the Parent Council information for possible review another day. This past summer, as I was clearing out some old club files, I came across the handouts. As I re-read the information, I thought, why not give it a try? After all, we had just completed a season where many parents failed to follow the basic policies outlined in our Parent/Player Club Handbook. More often than not, the parent attempted to claim that no one had ever informed them of, for example, refund policies in connection with players who decide to quit midseason or parents who didn't follow the hotel policies and ended up with extra out-of-pocket costs. I knew I needed to find another way of opening lines of communication to better educate the parent membership. I decided that it was my job to make sure that the club focused on all aspects of club volleyball - not just the athlete. We had to do a better job of educating the parents who are attending every match and who will ultimately advertise our club and their experience to others. They are paying the bills after all. Why not put to use what could be our greatest asset to the Club? I received a lukewarm response when I presented the idea of a Parent Council to my coaches at our pre-season meeting. Coaches felt that the Council would turn into nothing more than a venue for parents to complain, complain, and complain some more. I decided to move forward despite the negative response. After tryouts when teams had been selected, I asked coaches to seek a representative from each team. The response by some parents was very hesitant, while others jumped at the chance to be represented. One coach was unable to get a single parent from his team to step forward. He asked me what would happen. I simply responded that his team would not have a voice within the club. Two days later, he provided me with the name of a parent possibly interested. As I mentioned above, my reasons for wanting to start a Parent Council were to open better lines of communication and to find ways to educate our parents. By sharing ideas for uniforms, practice facilities, tournament selection, fund raising, etc. (and the list goes on), it's my hope that parents will feel more involved in every aspect of club development. I'd like to encourage the sense of "family" within Next Level Volleyball Club. I hope to educate our parents in connection with issues we face involving bullying, racism and harassment by providing parent council representatives with information and guidelines to take back to their teams. It's my hope to be able to discuss tournament rules, reffing requirements, and other guidelines that may be obvious to coaches, but not so obvious to parents. I want to do a "Personal Insights Profileâ„¢" with the parents before we try it with our players to show them in advance different ways we can evaluate players and what strengths and weaknesses they might bring to our teams. The parents get to be part of the decision making process in a setting that I can control. On the flip side, I could be opening a can of worms. Am I crazy allowing parents to bring forward "concerns" from their team before they become "issues" to be mediated or before they discuss these same matters with their child's coach? Am I setting myself up for attack in having to defend every decision I make in connection with club policy? Maybe the parents don't know why we participate in USAV, JVA and AAU events? Maybe they have questions about fees or surcharges with credit card payments? Maybe parents can provide better feedback on hotels I choose for overnight tournaments? Who knows - the list could be endless. I might have to finish my night after a council meeting with a nice glass of wine, or two, or more. Only time will tell. At the end of the day, I believe the combination of parents who have been with the club for years who know the ropes and parents who are experiencing club for the first year will result in better lines of open communication and an understanding of what Next Level Volleyball Club's goals for the present and the future may be. Our first Parent Council meeting is coming up! I'll share in a part two article the results of our first season utilizing a Parent Council. We'll see if it was meant "to be or not to be." 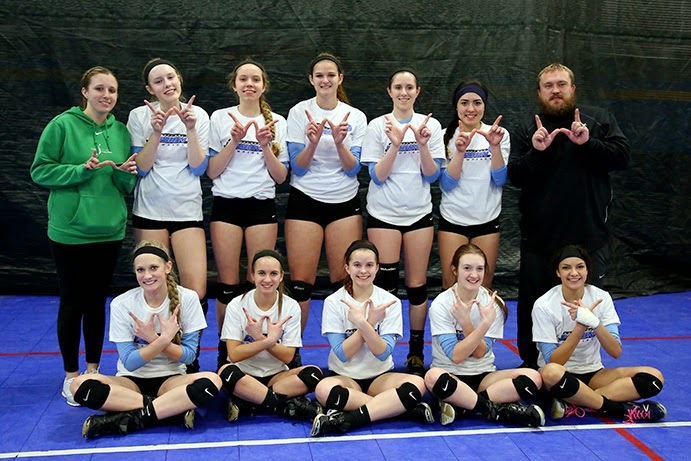 Sharon L. Galonski is the Director of Next Level Volleyball Club based out of Franklin, Wisconsin.